Michael R. Licona. The Resurrection of Jesus: A New Historiographical Approach. Downers Grove, IL: IVP Academic, 2010. 718 pp. $45.00. The bodily resurrection of Jesus is a foundational tenet of the Christian faith. As such, it’s frequently addressed in apologetics books. In the biblical studies guild this topic also receives an enormous amount of attention, being considered the “prize puzzle of NT studies.” With approximately 3,400 scholarly journal articles and books on the topic of the historicity of the resurrection from 1975-2010 alone (19), can a new tome on the topic really contribute anything new? Indeed, it can. In The Resurrection of Jesus: A New Historiographical Approach Michael Licona has accomplished something rather remarkable and largely unprecedented by providing a rigorous examination of the approach taken by historians outside of the biblical studies guild and then applying the methodology to an examination of the historicity of the resurrection of Jesus. The result is a historiographical examination that is impressively expansive and rigorous on any count, but especially noteworthy and possibly unprecedented on a biblical subject. Susan Docherty. 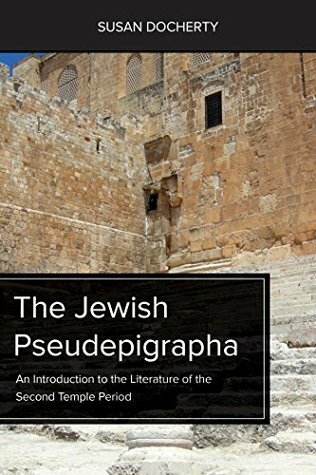 The Jewish Pseudepigrapha: An Introduction to the Literature of the Second Temple Period. Minneapolis, MN: Fortress Press, 2015. 208 pp. $49.00. This short book is an excellent introduction to the Pseudepigrapha for the uninitiated. The literature is organized by genre, with each chapter devoted to a different type of writing. In contrast to organizing by chronology, along geographic lines, or according to the OT character with whose name they are associated or whom they honor, organizing by genre offers the advantages: “it is relatively easy for the reader to navigate; it highlights the creative use by the early Jewish writers of a variety of literary forms; it enables attention to be paid to all the noteworthy characteristics of each text; and it allows works which have something in common to be compared” (9). Each chapter first introduces the genre, then introduces several main texts from the genre, presenting key features and main themes of these texts. Each chapter concludes with the significance of the genre and suggestions for further reading. Distinguishing features of this volume include its accessibility and length as well as its focus on the significance of the texts. Thanks to Fortress Press for the digital review copy! Paul A. Hartog, ed. 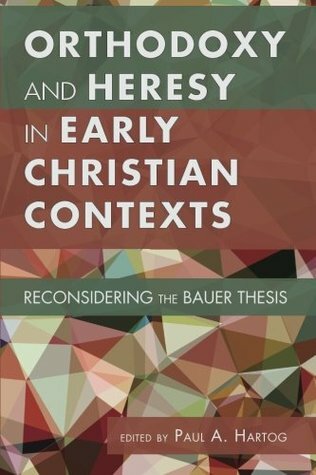 Orthodoxy and Heresy in Early Christian Contexts: Reconsidering the Bauer Thesis. Eugene, OR: Pickwick Publications, 2015. 288 pp. $32.00. This volume offers a fresh, interdisciplinary reevaluation of the Bauer thesis from expert New Testament and Patristics scholars. Originally presented at an invited session of the Patristics and Medieval History Section of the Evangelical Theological Society, these essays provide a fresh look at orthodoxy and heresy and unity and diversity in early Christianity. Addressing topics from Apostolic Fathers to Gnosticism(s) to the rule of faith to Patristic heresiology to the development of “orthodoxy,” this book is an excellent read for NT students and scholars, especially those with particular interest in early Christianity. Although recognizing the importance of Bauer’s innovative methodologies, fruitful suggestions, and legitimate criticisms of traditional views, the contributors also expose Bauer’s numerous claims that fall short of the historical evidence. The contributors’ desire is that this fresh examination of Bauer’s paradigm may serve as a launching point to a richer and deeper understanding of the unity and diversity (and even normativity) found in the variegated early Christian movement” (5). Thanks to Pickwick/Wipf & Stock for the review copy! Peter H. Davids. A Theology of James, Peter, and Jude: Living in the Light of the Coming King. Grand Rapids, MI: Zondervan, 2014. 352 pp. $39.99. Zondervan Academic’s Biblical Theology of the New Testament series under the editorship of Andreas Kostenberger explores the NT writings within the context of the theology of the NT and ultimately the entire Bible. 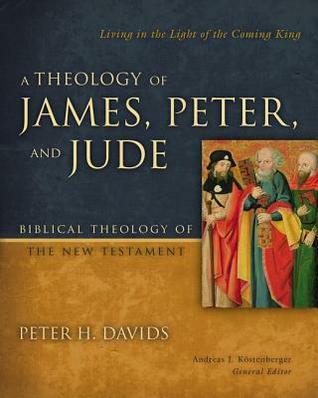 Peter Davids contributes the latest volume on the General Letters of James, 1 and 2 Peter, and Jude. Davids begins with an introductory chapter which addresses the common themes and issues across these four epistles – Greco-Roman background, theology, Christology, view of the source of sin, and eschatology. The introduction also examines the issue of pseudonymity. 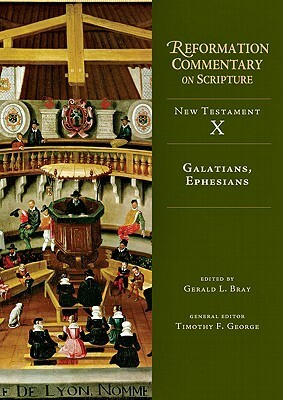 The rest of the book devotes one chapter to each of the epistles covered, surveying recent scholarship (including providing a brief biography) and introductory issues, providing a literary-theological reading and examination of key theological themes, and commenting on the canonical contribution of each of the epistles. This volume is a short and accessible read that offers rich biblical-theological insights on a neglected part of the NT. The bibliography, survey of scholarship, and introductory matters provide a helpful orientation to these Epistles for the beginning student. This is a great book from an accomplished NT scholar for anyone desiring a theological reading and insights into the theological themes of these epistles. Brian K. Morley. Mapping Apologetics: Comparing Contemporary Approaches. Downers Grove, IL: IVP Academic, 2015. 384 pp. $25.00. I had studied and employed apologetics for many years before I realized that there were different methodologies and that everything I had read about and utilized were in what are called classical and evidentialist schools. I thought what I had encountered was apologetics. I’d imagine that a great proportion of nonspecialists are unaware of the different methodologies in apologetics because most nonacademic literature is written from the perspective of a certain approach, labeling its contents apologetics. 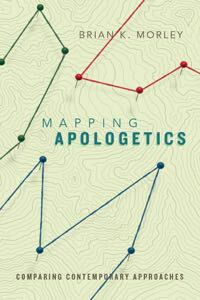 I would have greatly appreciated a book like Brian Morley’s new Mapping Apologetics in those early years when I first began studying apologetics. Mapping Apologetics begins with two chapters on foundational issues that briefly survey apologetics in the Bible and apologetics in history. The rest of the book deals with the five major methodological approaches and the most influential current proponents of each. Organized according to a schema of increasing emphasis on objective, independently existing evidence, Morley addresses presuppositionalism (Cornelius Van Til and John Frame), Reformed epistemology (Alvin Plantinga), combinationalism (E. J Carnell, Gordon Lewis, and Francis Schaeffer), classical (Richard Swinburne, William Lane Craig, and Norman Geisler), and evidentialism (John Warwick Montgomery and Gary Habermas). Mapping Apologetics is an excellent introduction to apologetic methodology, accessible enough for someone without prior knowledge yet containing deeper tidbits for the more advanced reader. Oren R. Martin. Bound for the Promised Land: The land promise in God’s redemptive plan. Downers Grove, IL: IVP Academic, 2015. 208 pp. $25.00. Bound for the Promised Land, the latest volume in IVP Academic’s New Studies in Biblical Theology series under the editorship of D. A. Carson, is a substantial revision of Dr. Oren Martin’s doctoral dissertation completed in 2013 at The Southern Baptist Theological Seminary under Dr. Bruce Ware. The aim of the study is “to demonstrate that the land promised to Abraham advances the place of kingdom that was lost in Eden and serves as a type throughout Israel’s history that anticipates the even greater land – prepared for all God’s people throughout history – that will come as a result of the person and work of Christ. In other words, the land and its blessings find their fulfillment in the new heaven and new earth won by Christ” (17). 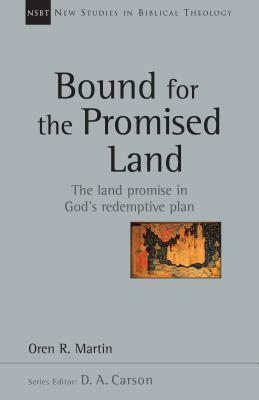 Martin begins in Chapter 2 with providing a biblical-theological framework for understanding the land promise in redemptive history. In this framework, kingdom is key; “fundamental to the story line of Scripture is the notion that God, the Creator and King of the cosmos, has a people who live under his reign” (31). Chapters 3-6 examine the unfolding of the land promise across the Old Testament. Chapter 3 focuses on Genesis and argues first of all that the first 11 chapters are more than just a prologue to the story of Abraham and Israel, but is instead “crucial for the development of a biblical theology, for Abram is God’s response to a problem that emerges from Adam” (61). Secondly, Martin demonstrates through Genesis 12-50 that the land promise is both conditional and unconditional, both national and international, and both temporal and eternal. Chapter 4 traces the theme of land throughout Exodus and Deuteronomy and highlights the anticipation of the people of Israel for acquiring the Promised Land. By the end of the Pentateuch, God’s people are poised to enter. Chapter 5 examines the partial fulfillment of the land promise from Joshua – Kings. In Chapter 6, Martin investigates the loss of land through exile and the eschatological hope of the Prophets. [T]he promise of restoration goes far beyond what was previously experienced and is described in astonishing realities, for it includes not only the nation of Israel but also the nations, and not only the boundaries of the promised land but also the entire earth. The universality stressed in the latter prophets revives the consciousness of the worldwide significance of the Abrahamic promises. Gerald L. Bray, ed. Galatians, Ephesians (Reformation Commentary on Scripture). Downers Grove, IL: IVP Academic, 2011. 446 pp. $50.00. Though IVP Academic’s Reformation Commentary on Scripture (RCS) series is relatively new (with seven volumes published so far out of a projected 28 volumes), it has already garnered much praise. As a sequel to the highly acclaimed Ancient Christian Commentary on Scripture (ACCS) series, it shares an overall concept, method, format, and target audience with its predecessor. “The serious study of Scripture requires more than the latest Bible translation in one hand and the latest commentary (or niche study Bible) in the other” (xiv). As such, the ACCS and RCS series make available the finest exegetical works of their respective eras (Patristic and Reformation, respectively) for the sake of renewal through retrieval. Each volume in the RCS series begins with a general introduction that provides an overview of the context and process of biblical interpretation of the Protestant Reformation era (including the historical context and the various schools of exegesis). Next, each volume contains a guide to using the commentary. Subsequently, the volume introduction places “that portion of the canon within the historical context of the Protestant Reformation and presents a summary of the theological themes, interpretive issues and reception of the particular book(s)” (xvii). The commentary itself proceeds by pericope, with a pericope heading, biblical text in the English Standard Version, an overview of the reformers’ comments that follow, and then excerpts from Reformation writers. In addition to typical backmatter, each volume of the RCS contains a map of the Reformation, a timeline of the Reformation, and biographical sketches of Reformation-era figures.